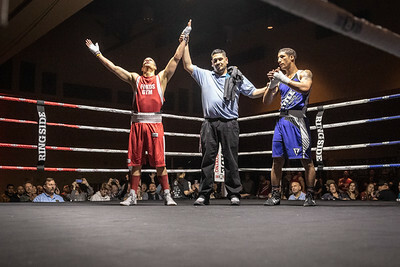 The towel flies into the ring stopping an very powerful and skilled fight between teammates Demetrius Reed (White trunks) and Luis Alvarado (Red trunks) . 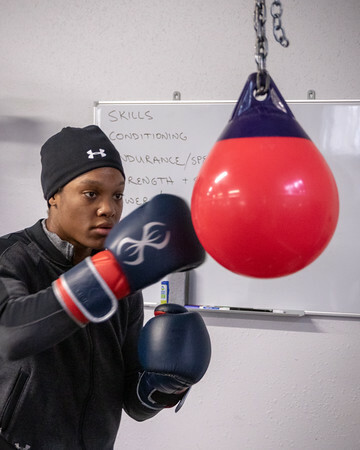 The risk of an injury was just too high for Wisconsin Golden Gloves Coach Andrea Nelson. 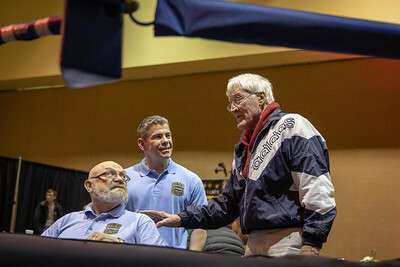 The long game goal is for both champions to compete at the national GG in their respective weight classes, and risk of injury and potential medical suspension just wasn't worth it. 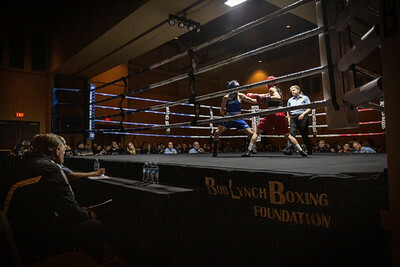 Wisconsin Golden Gloves held it's first ever State Tournament under the direction of the Bob Lynch Boxing Foundation. It was a weekend of intense but sportsmanlike competition. 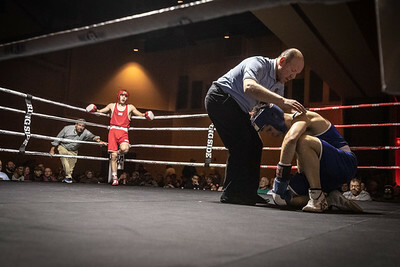 Wisconsin Golden Gloves Official Domingo tends to boxer Terrence Marquardt as Dr Dave Bryce enters the ring while boxer Kade McManus looks on from the neutral corner. Teammate Marcus Robert Johnson said on his social media, ""Theres[sic] no shame in anything once u[sic] climb through those ropes. Everything is on the line, your future and your mind! 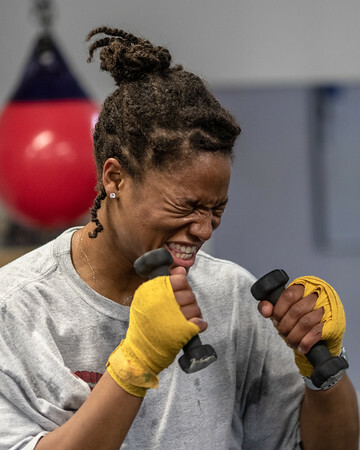 There are NO losers in amateur Boxing. There is a Winner and a runner up!" 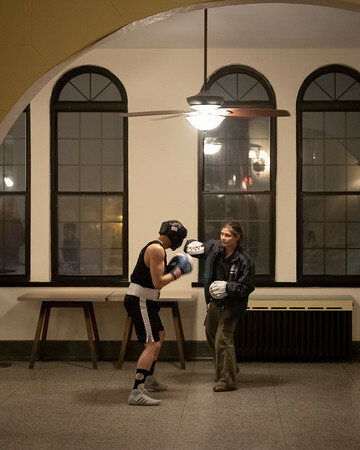 That is indeed the truth as it takes a lot of dedication and effort to even step foot into the ring. All should be proud that they competed! 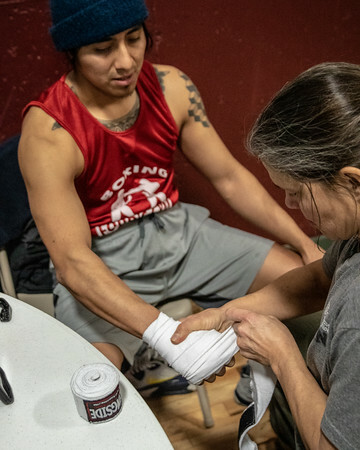 Coach Andrea Nelson from Ford's Gym coaches fighter Marcus Robert Johnson as he warms up before his victorious match in Kenosha, Wisconsin. At first I stood a lot closer to them as they worked together. Something told me to move further back. I'm discovering a whole new appreciation for efficiency in motion. As I experience first hand how these athletes train I can't help but admire their proficiency. There's something about working alongside such determination that I find deeply inspiring as a human being. 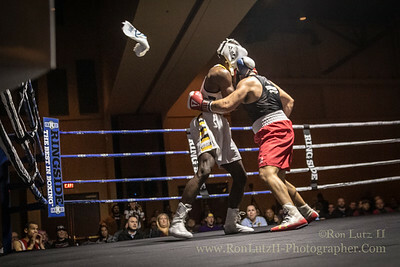 I cannot wait to cover the Wisconsin Golden Gloves fights on March 16th! It'll be a fun night at the Marriott West in Madison, Wisconsin. 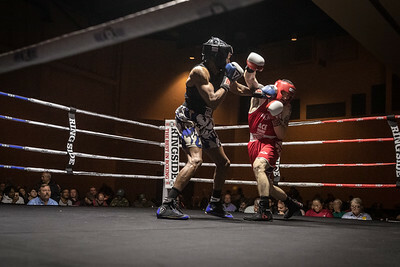 Marcus Robert Johnson (Red) evades a jab thrown by Dakota Carner (Blue) during a very lively and skilled match-up during the Wisconsin Golden Gloves 2019 State Tournament. 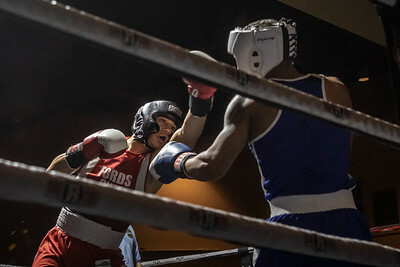 Marcus Robert Johnson (Red) take a shot at Dakota Carner (Blue) during the 2019 Wisconsin Golden Gloves state tournament. 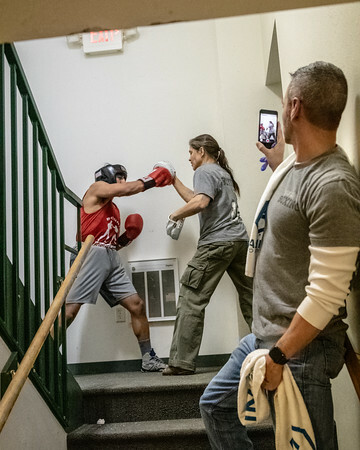 Saturday, March 16th is the Main Event for this year's Wisconsin Golden Gloves. 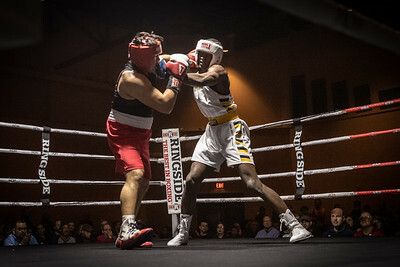 The elimination bouts on Friday are open to the public, no ticket needed. 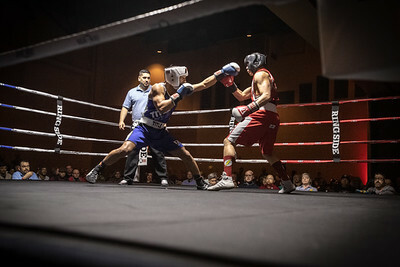 Tickets for the Main Event on Saturday can be found via this link Wisconsin Golden Gloves 2019 Event Ticket Sales.